The Solano County Public Health Laboratory, the only regional public health lab in California, is located on the main Health and Social Services campus in Fairfield. The Solano County Public Health Laboratory supports and enhances the efforts of Solano, Napa, Yolo and Marin County Health Departments in the detection, control and prevention of communicable diseases by performing essential public health laboratory services. We continue to build partnerships with local public health teams, including Travis Air Force Base, State prison, hospitals, including Sutter Medical Center, Kaiser Permanente, and NorthBay Medical Center, local physicians, and other community partners. The laboratory employs advanced laboratory instrumentation that provides a high level of testing. Examples of lab services include antibiotic drug susceptibility by VITEK, serology and immunology by Evolis, molecular PCR testing by Roche, definitive Mycobacterial identification by HPLC, Mycology, Bacteriology, Parasitology, foodborne illness examinations, Rabies FRA, tick testing for Lyme disease, chemistry and bacteriology testing of drinking and surface water. 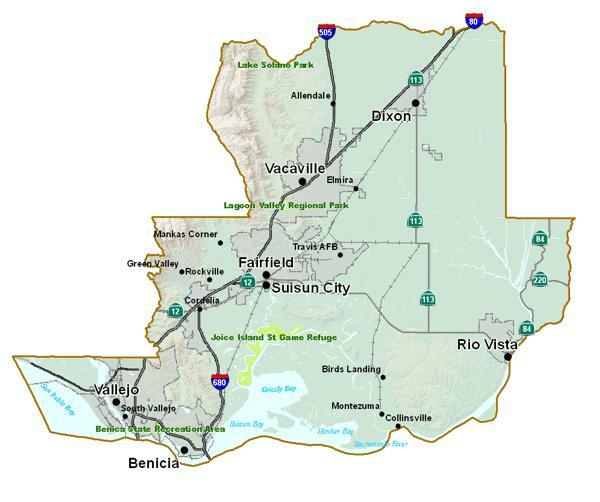 The incumbent in this position plans, organizes, and directs the activities of the Public Health Laboratory as a diagnostic and reference resource for Solano and Napa County. The incumbent identifies and controls communicable diseases and environmental problems; provides epidemiology data; prepares, plans approves and administers laboratory fiscal management program, personnel administration and policy and procedures; maintains laboratory to meet State and Federal standards. This is a management level classification responsible for the administration and operation of the Public Health Laboratory. Strong understanding of Public Health lab principles and related activities. Initiative and creativity with respect to identifying necessary new tests and platforms, and cultivating new partners and clients. Strong written and verbal communication skills, and a commitment to keeping Joint Powers Authority partners well informed. Ability to interface effectively with community partners, other local, state, and national labs, and lab associations. Understanding of laboratory budgeting and fiscal needs. The equivalent of four years of full time recent experience in public health laboratory work, including two years of lead or supervisory public health laboratory experience at the level of a Senior Microbiologist or higher AND Possession of a Doctorate degree from an accredited university in a chemical, physical, biological science or clinical laboratory science AND Possession of certification by the American Board of Medical Microbiology, American Board of Clinical Chemistry, American Board of Immunology, American Board of Bioanalysis, or other National accrediting board acceptable to the U.S. Dept. of Health and Human Services in one of the laboratory specialties. Held a position as a Laboratory Director or could have qualified as a “Laboratory Director” under regulations at 42 CFR 493.1415, published March 14, 1990 at 55 FR 9538 on or before February 28, 1992. On or before February 28, 1992, be qualified under CA State law to direct a public health laboratory to include 4 years of full time public health laboratory experience. This position is an “at-will” senior management position and is exempt from the civil service; incumbents serve at the discretion of the appointing authority. n Employees are eligible to receive an additional 2.5% longevity pay, per level, after the completion of continuous service at 10, 15, 20, 25, 30 and 35 years of service. Employees may receive credit for prior years of service employed with California cities, counties, joint power authorities, and other special districts as approved by the Director of Human Resources and the County Administrator. Extra-help employees who work less than 29 hours per week do not typically receive or accrue benefits of regular employees during their period of employment. All extra-help employees accrue .034 hours of Paid Time Off [Represented] Sick Leave [Unrepresented] for every full hour worked. 05/10/18 – Deadline to submit application and required documents. 05/22/18– Tentative date for oral board for most qualified applicants. Possession of a Public Health Microbiologist certificate issued by the California State Department of Health, Laboratory Field Services. Independent travel may be required.